Get paid faster from around the world. Allow your clients to pay you more easily, whether it’s for a service you offer, samples you sell online or at a trade fair. Flexible payment solutions for B2B. Receiving payments is faster and easier than traditional wire transfers, especially for business-business sellers. 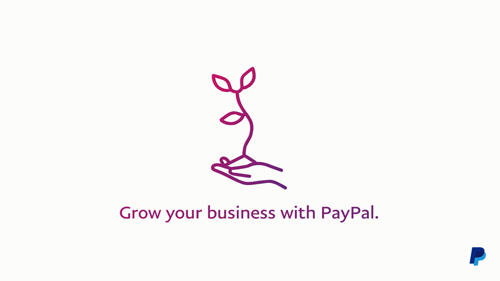 With PayPal, there are different payment solutions to suit your needs. All you need to get paid is your customer's email address. Send payment requests or professional invoices to your customers through email and get paid. Turn your website into a sales channel by enabling online payments and orders. Share your link with customers over email, instant messenger, through social media or anywhere else, as a quicker and easier way to get paid. 44% of customers are more likely to trust businesses that accept PayPal*. Your PayPal account can help you close more sales by giving you access to millions of customers worldwide. PayPal payments from your buyers appear in a timely manner in your PayPal account. This helps you fulfil orders faster, so you can focus more on selling. When you receive payments with PayPal, your eligible transactions are protected in case of unauthorised transactions, or if your buyer claims the item was not received. Your customers can pay you using their choice of 25 currencies, across more than 200 markets. *2018 Online Payment Experiences Study commissioned by PayPal with IPSOS. comScore online panel, Q4 2017. Reach more customers through our partners. Expand your sales through B2B sales channels, marketplaces, or develop your own online shop.